I’ve reached the point of alternating between active partisan engagement and deep, dark depression. And that’s just with the Cubs. Then along comes Washington Post columnist Dana Milbank, an articulate if misguided soul, who blames the rise of Donald Trump and the current sad state of the country’s politics and society on Baby Boomers. To invoke a term of my Boomer compatriots, that’s a mind-blowing claim while casually dismissing with a single passing reference the ill-conceived and fraudulently peddled war in Vietnam. Say It Ain’t So, Lou Brock! Curse you, Internet, for destroying a precious childhood memory: Lou Brock’s inside-the-park home run. Oh, the devastation, humiliation and lamentation despite the often-hapless Cubs sweeping the vaunted San Francisco Giants in five games at Wrigley Field all those decades ago. 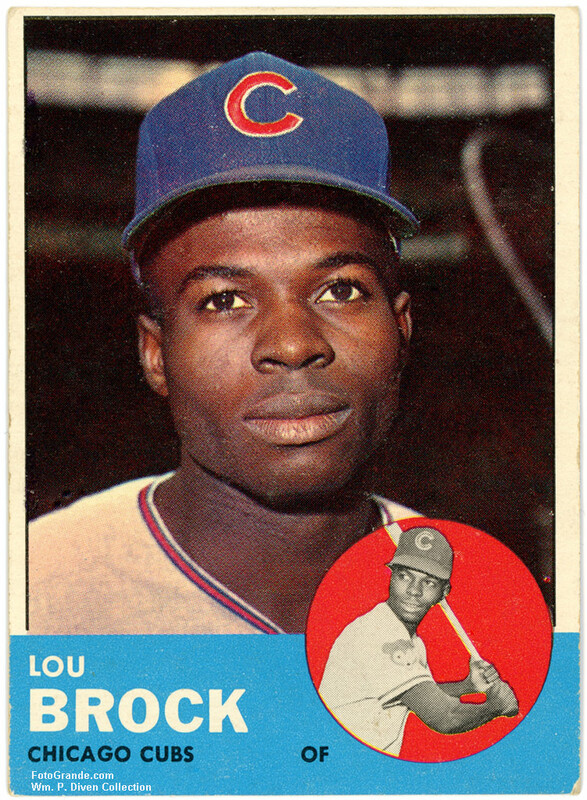 Topps 274: Lou Brock 1963. © Topps Chewing Gum, Inc.